Irish M.E. Trust - A Clinc for Ireland? 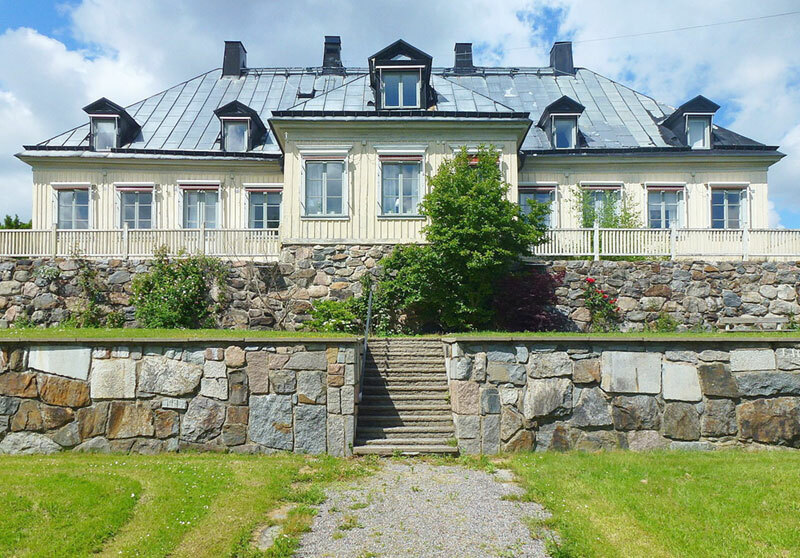 The Irish ME Trust believe it would be practical for our Department of Health to establish a clinic along the same lines as the Stora Sköndal ME/CFS clinic in Stockholm. 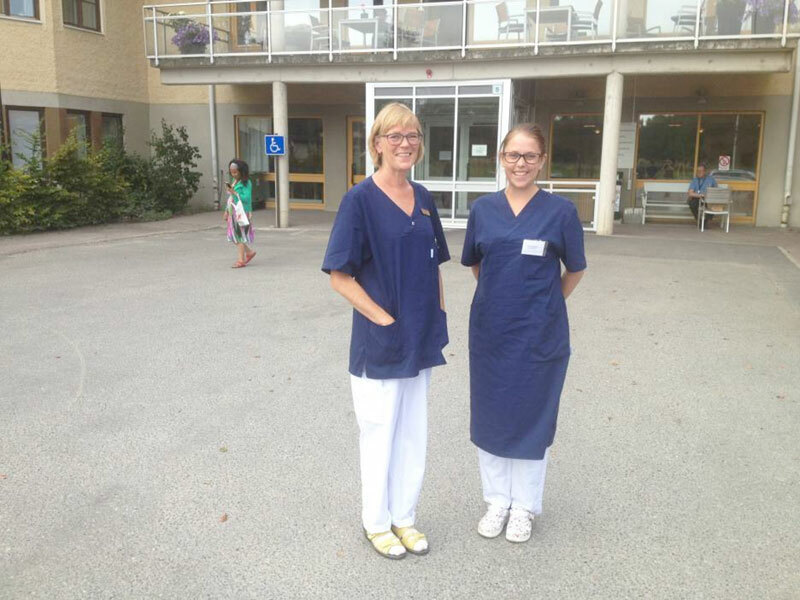 I had the pleasure to tour and learn about how patients are evaluated and helped at the Stockholm clinic. With no evidence-based treatments available, the goals are to help patients handle their illness, reduce symptoms and prevent crashes. The clinic physicians do understand that this is truly a biological disease, but they express the need for published treatment trials for ME/CFS-specific treatments to patients. UK charity Invest in ME Research are working to establish a UK and European Centre of Excellence for ME - a centre which would exist to bring discovery, knowledge, and effective treatments to patients with ME and possibly, in future, other illnesses that are caused by acquired dysregulation of both the immune system and the nervous system. But it's not as simple as 'Build it and They Will Come'. Ireland needs a consultant to dedicate himself/herself to tackle the complexities surrounding ME/CFS. If such a consultancy post was established by the HSE, somebody will step up to the mark. One such consultant in Scotland allocated Fridays to seeing ME patients. That would be a start. In fact, a Motion was passed at the 2015 Labour Party conference which promised "to actively promote the development of a Consultant post for M.E./C.F.S. sufferers in the country". Following a meeting between the IMET and Kathleen Lynch, then Minister of State for Disability at the Department of Health, we were further referred onto the Clinical Strategy and Programmes division of the HSE who have the opinion that people with ME are adequately cared for within the existing structures. Although we begged to differ, this route ended in a further cul-de-sac. The pledge to actively promote the development of a Consultant post for M.E. was somehow lost in the rush to canvass for the imminent general election. Data from a 2002 Irish ME Trust questionnaire to General Practitioners indicated that over 85% of responding GPs favoured a properly structured referral system orchestrated by the Department of Health. In that same year, it was suggested in the UK Chief Medical Officer's report of 2002 that ME/CFS clinics could be set up incorporating multi-disciplinary teams. In practice, although the UK Government did allocate £8.5 million for the establishment of these clinics, recent history has shown that the management structure of the clinics comprises psychiatrists, psychologists and occupational therapists, etc., with the apparent predetermined intention of offering only exercise programs and cognitive behavioural therapy to combat symptoms. "CFS/ME is a debilitating and distressing condition that affects people of all ages. As the causes are still not fully understood, it is also a condition that poses a challenge to medicine and the NHS. These new centres and local teams mean that we can start developing focused, local services that will make a real difference to people's lives. The support, empathy and understanding of health professionals is an important factor in the care of people with this condition"
It is our view however, that the existing NHS CFS/ME clinic model in the UK is not something which would be welcomed by sufferers in Ireland as it will not try to get to the root of the individual's problems. It should also be noted that clinics can operate in different ways. Neurologist Dr Abhijit Chaudhuri managed a very well thought of ME/CFS clinic in the Southern General Hospital in Glasgow until his funding was cut and he had to relocate. Dr Chaudhuri operated this clinic only on Friday, seeing first time callers in the mornings and follow up referrals in the afternoons. I welcome the publication of the report and appreciate the enormous amount of work which went into it. It provides an excellent reference document for all those with an interest in the subject. I recognise that CFS/ME is a source of significant morbidity in the community and that, when so little is known about the cause of the illness, there is serious concern about how the illness is diagnosed and those who suffer from it are treated. I agree that health care professionals of all types need to have a far greater awareness of and capacity to identify the illness, diagnose it and manage the illness and those who suffer from it. Welcome words indeed. But what about the establishment of a clinic? Not a number of clinics. Not the Euro equivalent of £8.5 million sterling. Just one clinic, somewhere, perhaps operating on one day a week to start off with. A room in a hospital with dedicated personnel? A subsequent meeting was held with officials from the Department of Health in which the IMET put forward the view that a clinic for ME sufferers was necessary in Ireland to create a better framework for diagnosis within the broad umbrella term of CFS and so lead to better avenues for treatment. The Department of Health however, seemed content in the belief that General Practitioners were coping fairly well when presented with this possible diagnosis. We asserted that, as outlined in the IMET mail shot to GPs, 85% of responding doctors indicated that they would welcome an established clinic for referral and back up. Officials of my Department, including the Chief Medical Officer, have met with representatives of the Irish ME Trust, both this year and last year. The Department's Chief Medical Officer has pointed out the limitations on the health care system's ability to provide a full range of services to those who are already diagnosed with CFS/ME. These limitations are the same as for those who suffer from other chronic diseases. The allocation of resources needs to be based on priority health needs and on evidence as to what interventions are seen to be most effective in combating these conditions. The health system and particularly acute services are under pressure due to demand for emergency services and elective services. Within this context, there are limitations on the capacity of the health care system to respond to demands for increased or additional services. It is therefore, difficult in the circumstances to identify funding to establish specialised units for CFS/ME sufferers. During our discussions, it became clear that the Department sensed a stumbling block because there was not general consensus among consultants on the best way forward for treatment. This is the same situation in the UK and elsewhere but that has not stopped departmental agencies there collaborating with ME/CFS groups in order to install some referral system. We enquired as to whether an agreement in principle could be reached on the establishment of services provided these apparent obstacles could be overcome. We got no such commitment. Officials of this Department, including the Chief Medical Officer, have met with representatives of the Trust. Arising from these discussions, the Department has asked the Eastern Regional Health Authority to examine the service and financial issues involved in establishing an identified pathway of care for the management of those who are diagnosed with ME/CFS and report back to the Department. The Department has recently met with the Eastern Health Authority on the matter. It has been agreed that the examination to be undertaken by the ERHA in identifying a care pathway for CFS/ME patients involves consideration of the service requirements across the health system. It will need to address primary care, acute care and community care service requirements. It is not possible to put a time scale on the work to be carried out but the ERHA have been asked to give the matter priority. The ERHA will liaise with the Irish M.E. Trust in undertaking their assessment of service requirements. That was February 2004. Although this liaison did take place, the issue was put on the back burner due to the overhaul of the Regional Health Boards and the establishment of the Health Service Executive. 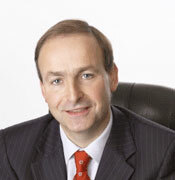 Minister Martin was also replaced as Minister for Health by Mary Harney TD. Communication was then dispatched to Minister Harney to see how matters could be progressed. In May 2005, the HSE set up a steering group to examine "best care treatment pathways" for people diagnosed with ME/CFS. What we specifically wanted was for the minister to appoint a liaison officer to look at this whole area in terms of diagnosis, care plans, and the cost to the nation. In any case this Steering Group was formed and comprised of representatives of the HSE, the Irish ME Trust and the Irish ME/CFS Association. A researcher and assistant were appointed and this Steering Group met periodically until September 2007 when a final draft report was compiled by the researchers following face to face interviews with ME sufferers, about 200 completed questionnaires and an examination of the international experiences in other jurisdictions through desktop research. Whether by accident or design, both the IMET and the Irish ME/CFS Association felt that this report was slanted towards the psychological bias and that particular perception of what ME was and we could not justify supporting it. We felt the report did not accurately reflect people's expressed views which we believe supported the establishment of an ME clinic in Ireland dealing with the complex nature of this illness. We still believe that the best way forward for ME in Ireland lies with the establishment of a clinic which will investigate suspected cases of ME/CFS using the Canadian Consensus Document for diagnosis of ME/CFS because we believe that this diagnostic criteria has the best chance of sub grouping a large number of suspected ME/CFS cases who are currently given this diagnosis based on the Fukuda criteria of 1994 which was initially constructed for research purposes and allows by default a large number of people to be given the diagnosis of ME/CFS who quite simply don't fit into this category. The Irish healthcare system needs to be accurately informed and educated about the debilitating nature of ME, which in turn will lead to better health care for our citizens. At the 2017 Hope for ME & Fibro conference in Belfast, Dr Christine McMaster (Dept. of Health consultant - public health agency) stated that the "Social Care Board has confirmed that all General Practitioners (GPs) practising in Northern Ireland will receive new updated information on ME, including biomedical research, confirming the very physical nature of the disease. This decision was agreed, by DOH officials attending the Stormont conference". And on the position of an ME consultant, Christine McMaster outlined her hopes to secure a medical lead. The plan is to meet with all the medical directors of the Social Care Trust and the proposal is for a half-time job in the week. In February they developed a draft job specification for a clinician that could lead the services. They are now awaiting a final version of the draft. She also mentioned about liaising with a centre of excellence in England, and that they have already been in touch with a centre of excellence. There is now no reason why our health care officials should not take a lead from our neighbours north of the border. The tide is turning and we need to be on the boat which will get us ashore.